Mets fans should be excited, I mean extremely ecstatic about having one of MLB’s top prospects manning down first base. 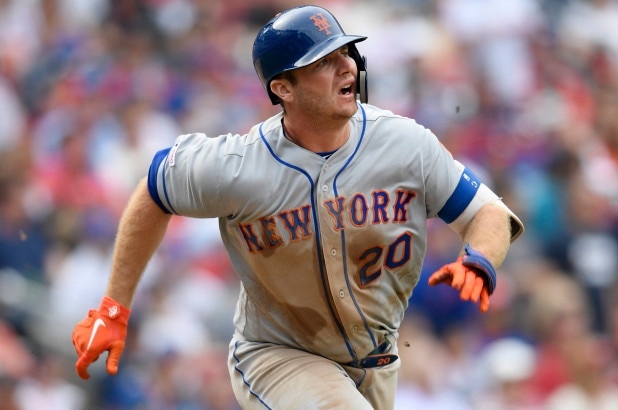 After Saturday’s game, teammate Noah Syndergaard dubbed Pete Alonso as “The Polar Bear” so of course, I’m going to take that and run with it. So far in just 12 Major League at-bats, Alonso has six hits giving him a .500 batting average while also drawing two walks. Out of his six hits, three of them were doubles and also has 3 R.B.I.’s to go along. It should be noted that the first three starters he faced were Max Scherzer, Stephen Strasburg, and Patrick Corbin. Not too shabby, at all. During Spring Training, Alonso played 22 games accumulating 71 at-bats and had 25 hits, five of which were doubles, one triple, four home runs with 11 R.B.I.’s. He hit .352/ .387/ .620/ 1.006 while also showing tremendous defensive improvements at first base. It’ll be interesting when he sees pitchers for the second and third time and see the adjustments both Alonso and the opposing pitchers have made. The Mets will be taking the Marlins on in Miami at 7:10 P.M. EST, where they’ll be squaring off against lefty Caleb Smith. Next New York Mets or Flushing Zoo?